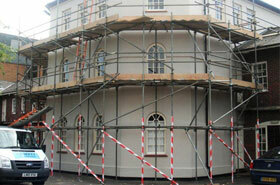 Corkett Scaffolding Limited supply and erect scaffolding for many different commercial and residential applications. We offer a friendly and professional service and with our loyal team of CITB trained and experienced staff, we have established an excellent reputation for quality and services. 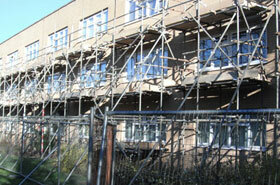 We provide an efficient quality scaffolding service at a competitive price. This is proven by our continued success. We have built up an excellent working relationship with many scaffolding customers, including major housing developers, local building companies, surveyors, roofers & architects. We pride ourselves on our flexibility and quality of individual service given to all our customers both large and small. References are available from any of our long-standing clients, who would be more than happy to provide upon request. Our company also has accreditation under the “Safe Contractor” Health & Safety scheme. 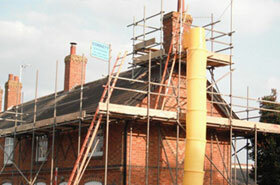 Corkett Scaffolding is based in Quainton, near Aylesbury. We offer scaffolding services throughout Buckinghamshire, Bedfordshire, Oxfordshire, Northamptonshire and other surrounding areas. We are a family run business and have been trading since 1985. In 2004 the day-to-day running of the business was passed down from Steve Corkett to his son Ian. 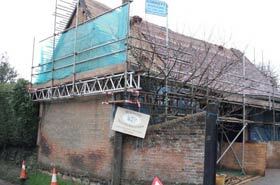 “We have been using Corkett Scaffolding for a number of years. 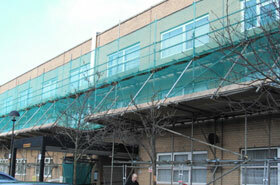 Ian and his Company are very efficient, tidy, competitive and safety conscious”. “From start to completion on any project, Ian and his team always provide us with an impeccable service. They are always consistent and work to a very high standard enabling our jobs to run smoothly and efficiently every time”. 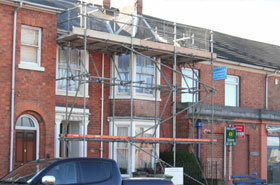 Should your scaffold need to be erected upon a Public Highway, you will require a scaffold highways licence from the relevant County Council. We can submit all the relevant documentation and forms including insurance details and fees to the County Council on your behalf (highways licence fees payable by client). Our services cover a wide range of scaffold applications, please find out more using the menu on the left or contact us using the form below for a bespoke quotation. Contact us by phone, email or using the form below. 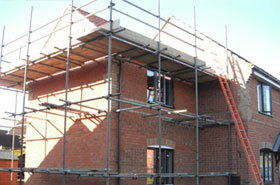 We will arrange a visit at your convenience to discuss your requirements and provide a site survey.